Don't be like Cameron. Backup your stuff. 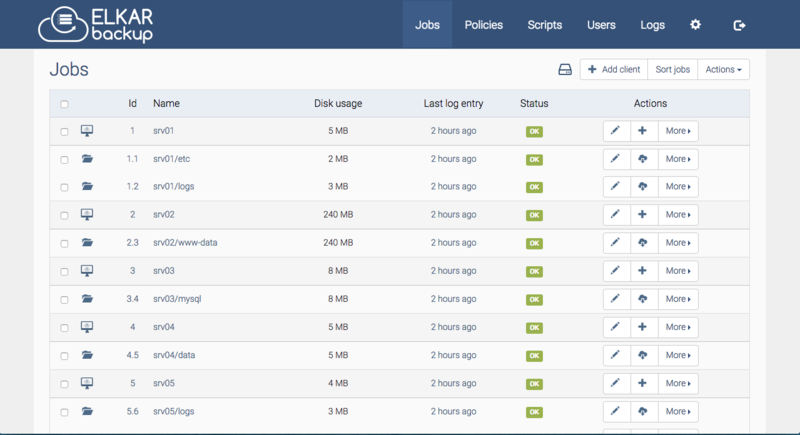 ElkarBackup is a free open-source backup solution based on RSync/RSnapshot. It's basically a web wrapper around rsync/rsnapshot, which means that your backups are just files on a filesystem, utilising hardlinks for tracking incremental changes. I find this result more reassuring than a blob of compressed, (encrypted?) data that more sophisticated backup solutions would produce for you. Create /var/data/config/elkarbackup/elkarbackup-db-backup.env, and populate with the following, to setup the nightly database dump. Running a daily database dump might be considered overkill, since ElkarBackup can be configured to backup its own database. However, making my own backup keeps the operation of this stack consistent with other stacks which employ MariaDB. Also, did you ever hear about the guy who said "_I wish I had fewer backups"? 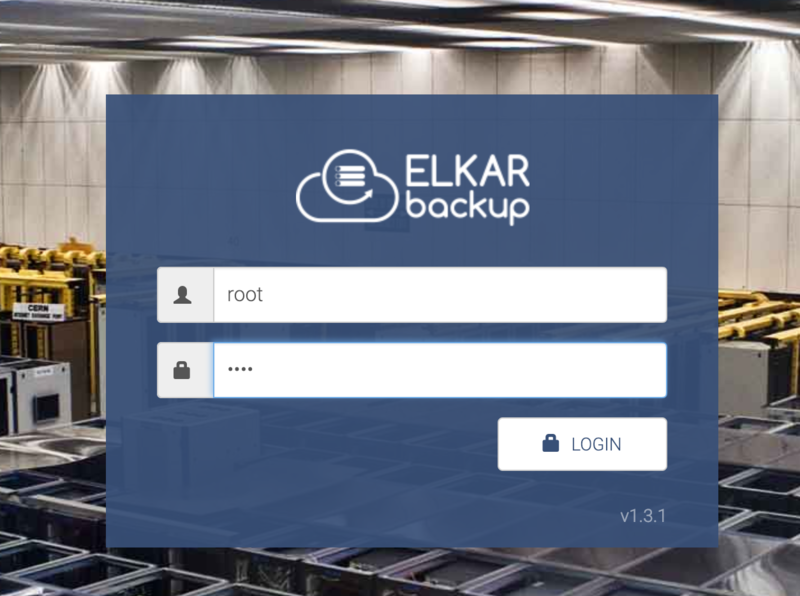 Have a read of the Elkarbackup Docs - they introduce the concept of clients (hosts containing data to be backed up), jobs (what data gets backed up), policies (when is data backed up and how long is it kept). From the WebUI, you can download a script intended to be executed on a remote host, to backup your backup data to an offsite location. This is a Good Idea™, but needs some massaging for a Docker swarm deployment. echo "Used disk space: $USED ($USE)"
echo "Available disk space: $AVAILABLE"
Repeat after me : "It's not a backup unless you've tested a restore"
I had some difficulty making restoring work well in the webUI. My attempts to "Restore to client" failed with an SSH error about "localhost" not found. I was able to download the backup from my web browser, so I considered it a successful restore, since I can retrieve the backed-up data either from the webUI or from the filesystem directly. This takes you to a list of backup names and file paths. You can choose to download the entire contents of the backup from your browser as a .tar.gz, or to restore the backup to the client. If you click on the name of the backup, you can also drill down into the file structure, choosing to restore a single file or directory. If you wanted to expose the ElkarBackup UI directly, you could remove the oauth2_proxy from the design, and move the traefik_public-related labels directly to the app service. You'd also need to add the traefik_public network to the app service. The original inclusion of ElkarBackup was due to the efforts of @gpulido in our Discord server. Thanks Gabriel!